We live in a culture where tensions are high, opinions run rampant, and different views are all over the place. How do we as Christians love others, disagree, and yet hold to Biblical positions on different matters? 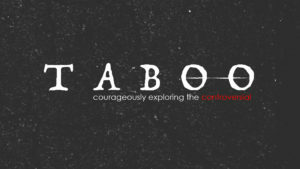 In Taboo we will be courageously exploring the controversial issues of today.